When I first became interested in family history, in 1986, my interest was solely in finding out about my own forebears. My father’s family history was a complete unknown to me, save for one or two snippets of information about his father. The history of my mother’s family was more accessible to me, as I had been told quite a bit about my maternal grandfather – George Smith – and knew that his mother’s maiden name was Guyatt. From my early years my mother had told me about the John Bankes Trust – of how a rich Haberdasher had set up a Charity to benefit his descendants, and how I and my siblings could, in certain circumstances, claim under this fund. As a child I was always fascinated by history, and so readily took note of the John Bankes story as it was told to me. When, in 1986, mum arranged to go to Haberdashers’ Hall in Staining Lane, London, to meet the Company Archivist and look at the Bankes Pedigree Book, I happily accompanied her. The above photograph of me was taken on that occasion. What a day we had! The book contained the names and brief details of all the people who had claimed benefits under the Bankes Trust, from modern times back to the 1720s, and we were enthralled by it. As time went by I became almost as interested in the Bankes Trust itself as I was in my own family history, so my research interests broadened. Although the main focus of my research is my direct ancestry, I am also interested in tracing as much material as I can about other lines of descent from the siblings of John Bankes. Add to that my research into my paternal lines, and you will understand that my research interests are quite wide, and hopefully the breadth of my interests will be reflected in the content of this website. In addition to information that I and my fellow researchers have collected over the past twenty years or so regarding John Bankes, Citizen and Haberdasher of London (c1652 – 1719), his siblings, and the descendants of his siblings, these pages include information about other lines of research that may be of use to other researchers, Hence, the title “Geoff’s Genealogy”. At the moment the material I am displaying here relates mainly to the Bankes Pedigree, but the tree encompasses other branches of research. 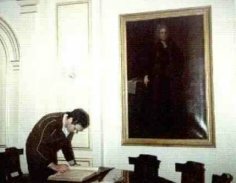 As time goes by I shall be adding other information about other areas of my research, and as I do so I shall outline the additions on my site Blog. I hope, therefore that from time to time you will return to my blog, and to this site, and check on what has changed since your last visit. John Bankes was the benefactor to descendants of his half-siblings, and as such I regard him as the most important person in my family history. You can find information about him by clicking on Bankes and following the links that you will then find. Clicking on Collyer takes you to a section of the site that offers material relating to Joseph and Mary Collyer and their eldest son – Joseph Collyer the Younger. Mary was a descendant of Mary Mitchell, John Bankes’s half-sister, and she and her husband were well known in literary circles in eighteenth century London. Joseph Collyer the Younger was an eminent artist – the official portrait engraver to Queen Charlotte. Clicking on Hunt & Stephens will take you to information concerning members of another family of descendants of Mary Mitchell – the Hunts. I have included in this section information about four male members of this family, each of a different generation, and each of them extremely interesting in their own right. Aditionally, this section includes material relating to the Stephens family. In case you are wondering where they fit in I should tell you that my ancestor – Mary Ann Hunt – married a certain John Stephens. The Mitchell & Jacobson section contains information about Robert Mitchell, Feltmaker, and his wife – Mary Rand, a half sister to John Bankes. Their daughter – Mary Mitchell – married James Jacobson, a London Broker, and the information we have about this couple and James Jacobson’s siblings is also displayed in this section. The Bankes Pedigree encompasses many people across nearly three centuries, and continues to provide my co-researchers and I with great enjoyment after seventeen years of research. 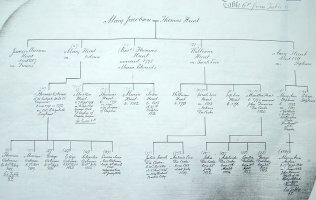 By clicking on Tree you can gain access to our family tree, which encompasses the Bankes pedigree. For reasons of privacy as a general rule we have excluded from this tree any persons who may possibly be alive. If you find the content of this site interesting you may wish to investigate some of the sites I have used during my family history research. To this end I have included a series of Links to other internet websites, which I hope will be of interest to you. Over the years I have written a number of articles for family history journals & magazines, and some of these can be read by clicking on Articles. On 18th June 2011 we held a Reunion of descendants of John Bankes at Coulsdon, Surrey. You can see material relating to this event by clicking on Reunion. 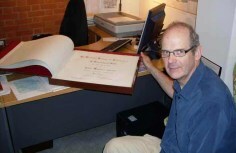 If you would like to contact me to discuss the content of this site please email me at geoff@geoffsgenealogy.co.uk. or post a message to my blog by clicking on the Blog button. Every effort is taken to ensure that the information contained in this website is both accurate and complete. However, our research is ongoing, and not without error. Therefore we cannot guarantee that all of the information is accurate, and do not accept responsibility for any consequences arising from any inaccuracy. This page was last updated on Saturday February 21st, 2009.